If you live in an area where flooding is a problem, then you are undoubtedly aware of how much trouble water can cause when it gets into your basement or crawlspace. Whenever it happens, you have to spend time sucking it all out so that you don’t risk your foundation or the spread of disease and mold into your home. However, wouldn’t it be great if you could have a system that removes the water automatically without you having to go down and do it manually each time? Well, if it’s a problem that you have to deal with on a regular basis, installing a sump pump might be your best course of action. In this article is you are going to learn about How to install Sump Pump. 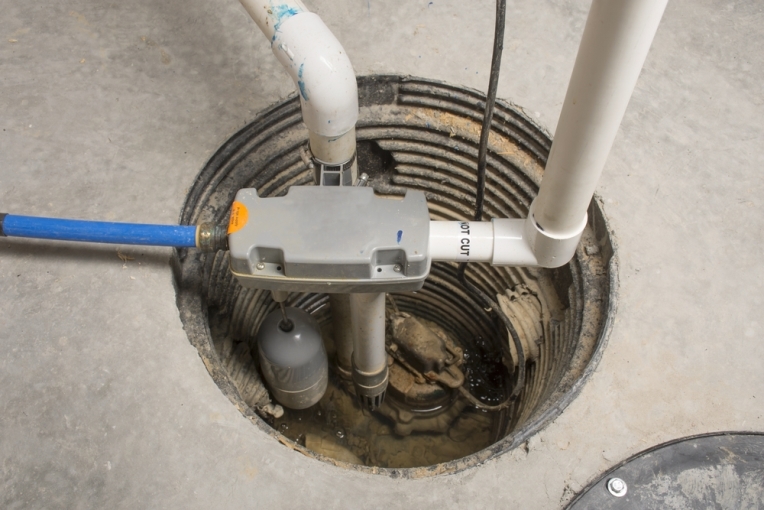 For the uninitiated, a sump pump is a permanent fixture that connects at the lowest point of a basement or crawlspace, and its primary function is to re﻿﻿move water that collects in the area. The reason that it has to be at the lowest point is so that you don’t risk having any standing water near the pump that it can’t reach. Once the system is installed, it can remove water automatically so that you don’t have to. Today we’ll be going over the best way to install a sump pump into your home so that you never have to worry about flooding or dampness again. Depending on your situation and the layout of your house, you might be able to install this device yourself. If you’re not sure, however, always consult a professional before taking on any project of this magnitude. Before you get started, you’ll have to have several tools and supplies to make sure that you’re getting the job done right the first time. Again, if you aren’t sure how to go about any of this, you will want to contact a professional so that you don’t risk injury to yourself or damage to your property. If you have a basement that is covered in concrete, then you will have to cut a hole through it to place your pump. That will most likely require demolition equipment, which may be a bit outside of your budget. If you cannot demolish the concrete yourself, then you may want to get a contractor to do it for you. Once the hole has been dug you should be able to do the rest yourself. Once you have all of your gear and assuming that you can get through any concrete, here are the steps you have to follow to make sure that your sump pump is installed correctly. As we mentioned above, it’s imperative that you place the sump at the lowest point in your basement. In some cases, this could be the center as some locations have a dip in the floor. If this is the case, you will most likely have to use extensions for both your pipes and your electrical outlet. If you place the sump somewhere higher than the lowest point, then you will risk having standing water. You will have to plug in your sump pump to a ground fault interrupter outlet (GFCI), so make sure that you have one nearby where you are going to dig. If not, then you will have to use extension cords and staple them to the wall to keep them out of the way. Before digging, make sure that you measure the size of your basin. If you are going through concrete, you want to mark the outline of the widest section of the basin (usually the top). Also, make sure to dig a little extra room to place gravel on the bottom of the sump so that it’s not sitting directly on the dirt. A few inches should suffice. What you have to remember, though, is that it should be flush with the floor once it’s fully installed. Once your hole is dug, then put a layer of gravel on top. If you want, you can also place a stone paver over the gravel to give it more stability as the ground will shift slightly over time. Once the basin is inside the hole, then fill the area around it with more gravel. This will keep it from shifting too much and will prevent the ground from eroding around it. After the basin is completely set, you will want to place your pump inside. The best thing to do is test the pump first and make sure that it can move water vertically through the pipes. To do that you will want to set up your pipes and hook them up to the pump and run a test with water in the basin. If it works, then you’re ready to move on. If it doesn’t, then you need to get a pump that is more powerful. Depending on the location of your pump and its relation to the wall, you may need a lot or a little bit of piping. The important thing to remember is that you want it to be as out of the way as possible, so make sure that you have pipe fittings that can mount to the wall. Also, you will have to run the pipes outside, which means that you will have to drill a hole through your wall to make that happen. Figure out a good exit point and run the pipe through before sealing it with caulk or some other material. It’s imperative that you provide ample distance from the runoff and your home’s foundation so that it doesn’t erode over time. The whole point of a sump pump is to protect your house’s infrastructure, so don’t negate its purpose by having your pipe dump water right next to your home. Before doing so, make sure to run another test to see that it will move water all the way through the piping. Also, don’t seal it completely as you will have to have access in case the pump stops working for any reason. Overall, having a pump in your basement or crawlspace is a fantastic way to protect your ﻿﻿home from flooding and erosion. As far as home improvement projects go, this is a bit more involved than others, but it can still be done in a day, provided that you have everything ready and you know what you’re doing. My husband and I just moved to a house that has a basement, and so we want to get a sump pump installed just in case we were to ever experience a flood. However, our floor is cement, and so I’m not sure if we’d be able to easily dig that hole ourselves. Would we have to cut up too much of the floor and the walls to install the pump and pipes? I appreciate your comments on why a sump pump is needed and the steps to installing one. I just moved into an area where flooding is a problem, so I think that I need a sump pump in my basement. I am not at all a handyman though, so I think that I should hire a professional to install it for me.